The BI Club has a robust fleet of boats consisting of Colgate 26s, International 420s, Optimist dinghies, Sunfish, and a Laser. It also has an extensive number of Paddle Boards and Kayaks. The Colgate 26s are a premiere sail training keelboat, specifically designed for the renowned Steve Colgate Offshore Sailing School, and used by our Maritime Service. 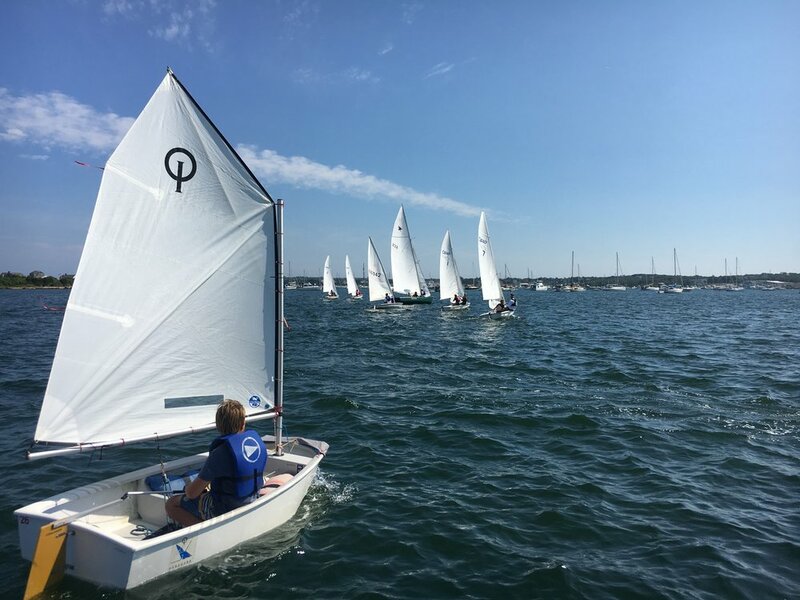 Academies such as the US Naval Academy and the US Coast Guard Academy, for their inter-collegiate sailing programs. The Colgate 26 has an enormous cockpit, seating up to 6 people, self-tailing winches, and with all sheets and halyards within easy reach by the crew. The Club 420 forms the base of many local, high school and collegiate programs in North America. Simple and safe for beginning sailors and yet challenging enough for collegiate champions, the C420 offers more learning opportunities than any other double-handed boat in North America. Over 7,000 Club 420s are sailed in youth programs all over the United States, Canada and the Caribbean. Optimists are used for beginners. Many sailors continue to race them up 12 to 13 years of age. The age limit is 15. Very small children are sometimes "doubled up" but usually the boats are single-handers. In this mode children gain confidence and improved skills: "The small boats train the champs". Many sailing schools and yacht clubs own a number of them and they are the first boat most beginners will sail. The Sunfish sailboat is a personal size, beach-launched sailing dinghy. Their simple rig makes them the ideal boat for any ability and the perfect vessel to explore the Great Salt Pond!